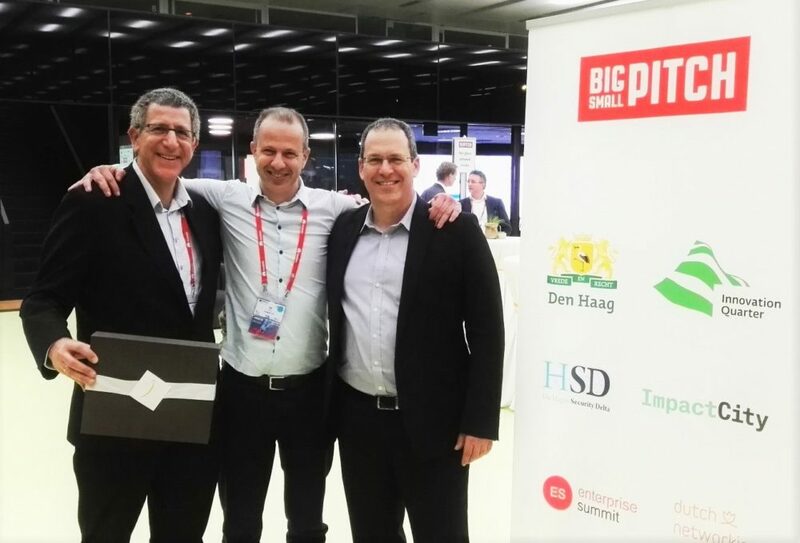 Tel Aviv, Israel, February 27, 2016 — Anagog Ltd., the developer of the world’s largest crowd-sourced parking network, was selected as the winner of the Big – Small Pitch event 2016 competition arranged by the Municipality of The Hague, Innovation Quarter and Enterprise Summit. “We are really grateful for this opportunity to pitch at ‘Big – Small’ event and are honored to be selected as the winners,” said Ofer Tziperman, CEO for Anagog. “This is our second win in a row this week after we also got the GSMA GLOMO award as ‘Best Mobile Innovation for Automotive 2016’. This recognition of our technology is the result of the very hard work of the Anagog team for a long time.”The Anagog mobility status SDK allows detection of a user’s real-time mobility status with an ultra-low battery consumption. The Anagog SDK can tell, for example, if the user is currently walking, driving, at home or at work. It can detect automatically when and where he parked his car, if he is riding a bus, enters or exits a predefined zone, and more. Such mobility status detection enables the best context-aware applications and services and drastically improves the user’s experience. Anagog is deploying the SDK globally via a B2B model, where other B2C app developers are implementing the mobility status SDK in their apps and are providing services based on the SDK to their users. Anagog, on its part, is also providing to its partners a real-time crowdsourced parking network based on all the real-time parking vacating events collected from all SDK users globally. Furthermore, Anagog is also sharing other insights with its partners from the big data collected by it that can serve to enrich the user experience even further.